How do I link a team in my club’s League Athletic based website to the same team on the NCJLA website? 1. 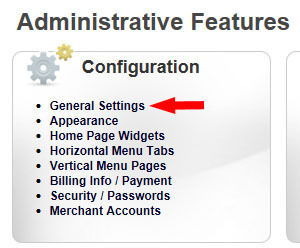 Go to your website and log in as an Administrator. 2. 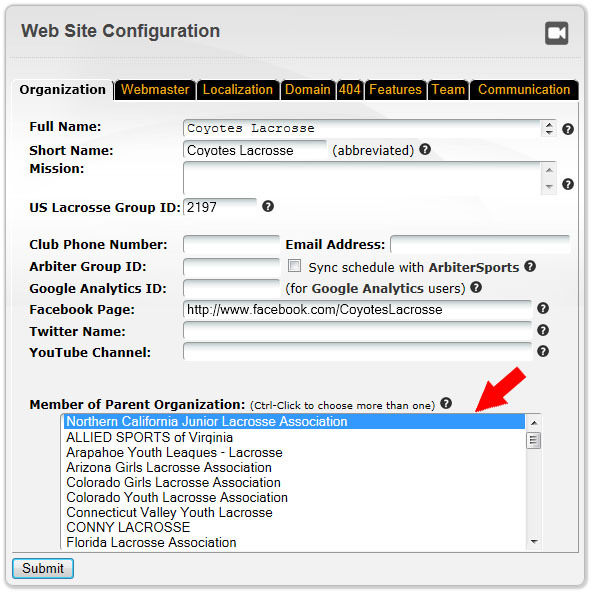 Confirm that your organization is linked to the NCJLA website. Click on General Settings. 3. Select the Organization tab. Under Member of Parent Organization click on Northern California Junior Lacrosse Association. 4. Click on the Team tab and box check the Schedule page, Roster Page and Results page. Click Submit. 5. Go to the Divisions and Team page, select the appropriate Team Season and then click on the name of the team of interest. 6. 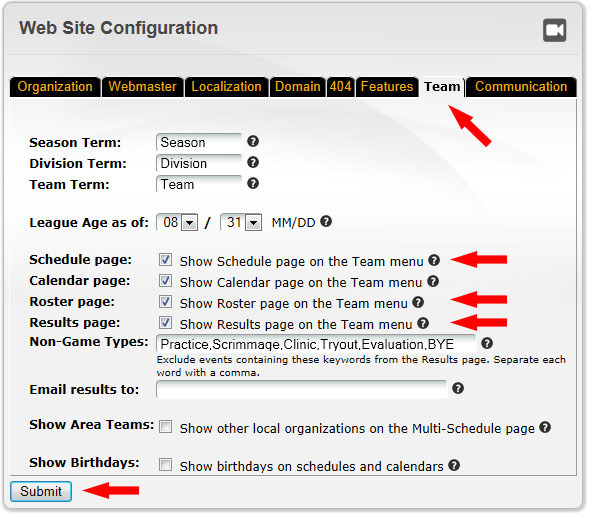 On the Team Information page, select the General tab. 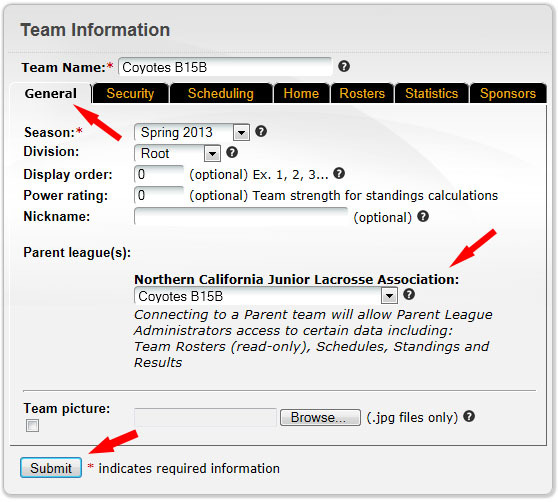 Under Northern California Junior Lacrosse Association there is a drop down list of all of the registered teams for the season in the NCJLA. Select the name of the team from this list that corresponds to the name of the team at the top of the page. Note the team names may not and do not have to be exactly the same. Click Submit.